Throughout 2013, I’ve been thinking a lot about the social, cultural, and historical questions that video games afford academic study and investigation. Several months ago, Nina Belojevic and I developed a prototype for HyperLit, a social reading environment that satirically draws on gamification and gameful design to encourage people to read a digital version of James Joyce’s Ulysses. While I look forward to further work on HyperLit, as of late I have been interested in studying video games as video games. Specifically, I have always had an interest in fourth-generation 8- and 16-bit game consoles like the Super Nintendo, Sega Genesis, and Nintendo Entertainment System (largely because of my own childhood experiences with them). Drawing on work by media artist, Cory Arcangel (including “Super Mario Clouds”), I am curious about how to modify early video games in order to highlight or even repurpose their essential gameplay elements. However, my skills with coding and game design are admittedly rather minimal, so a key challenge to my research on games has been identifying accessible approaches conducive to learning through tinkering. In June, Nina and I took the “Game Theory and Game Development” course at the 2013 Digital Humanities Summer Institute (DHSI) and—while brainstorming for our post-DHSI, directed reading projects with Jentery Sayers—decided we wanted to somehow engage with past technologies in order to gain a better understanding of the physical mechanics that constitute 8- and 16-bit gaming. Even though we had shared interests, we decided to take slightly different approaches to the project. I ultimately chose the process of circuit-bending. By drawing on a number of theorists, including Tara Rodgers, Lev Manovich, Alexander Galloway, Ian Bogost, Richard Grusin, and Jay David Bolter, my project—a circuit-bent Super Nintendo (SNES) controller that can be used to glitch any SNES game—suggests that glitching participates in a kind of applied media archaeology that helps media scholars contextualize the very processes of play. Any user of my “glitch controller” can gain an understanding, however rudimentary, of how the SNES gaming platform works and how it interacts with other technologies (e.g., television sets). At the same time, my project investigates how “game-first” glitching (that is, strategically glitching in a way that sustains gameplay instead of creating unplayable interfaces or games) influences how we understand and study game culture, algorithmic artifacts, and play itself. It is worth reiterating that my approach is contingent upon haptic exploration and depends highly on trial and error. While I have made a conscious and deliberate attempt to glitch as strategically as possible, I must acknowledge my initial and ironic unfamiliarity (given how many hours I have put into playing games on the platform) with the architecture of the SNES console. I must also acknowledge that this glitch controller project is but a springboard into further academic study and investigation. Below is a snapshot of the project, but please note: none of what’s below is intended to be a guide or “how-to” for circuit-bending. These are not instructions. I conducted this project with supervision. If you are unfamiliar with electronics, then do not try circuit-bending. In the project, the glitches themselves become less like “on/off” operator acts and more akin to fluid acts of play. 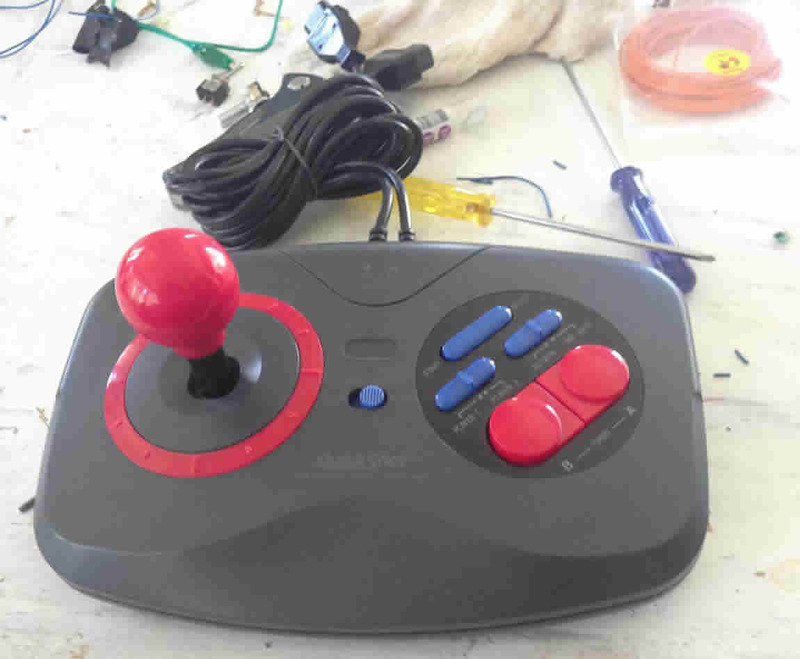 That is, the glitch controller is meant to be utilized and played while another player is engaging the game itself. Of course, it is important to note that by contextualizing this mode of glitch-play through a “closed” or “boxed” object—namely, the controller—I am partially undoing the work of experimentation and haptic tinkering that I have been so keen to do. In other words, I am ironically continuing in the tradition of providing a polished, user-friendly device that mimics the practices of video game companies like Nintendo or Sega. 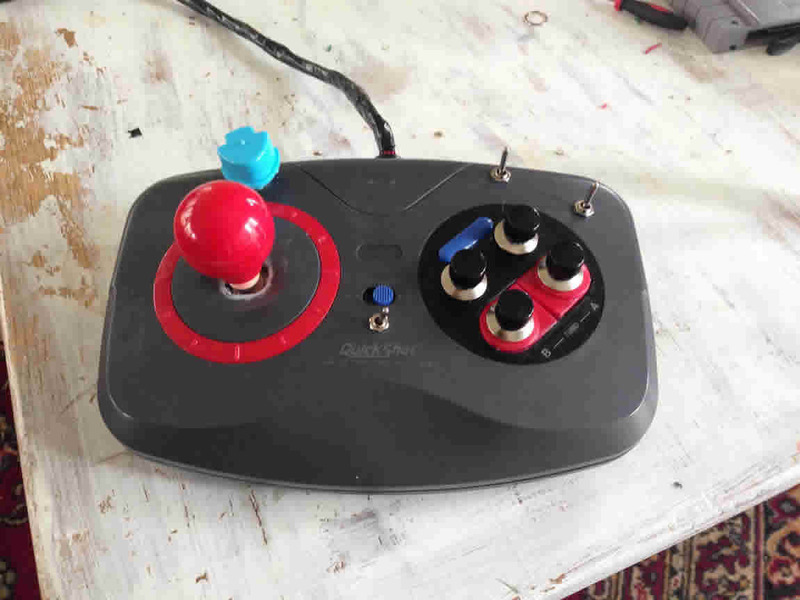 To build a prototype, I first needed a controller. I was able to find a used NES controller from a local thrift shop. After purchasing it, I quickly pulled out the controller’s guts and got to work. I installed a socket in the SNES for all the required wires. Adding several feet of wire to each point resulted in a significant amount of unwanted distortion and “grain” when playing the game. Here, I can’t help but think of Tara Rodgers’s suggestion (by way of Barthes) that such “grain”—emerging as a result of glitching, tinkering, or hacking—constitutes the “body” (Rodgers 317) of the producer/maker within the game/instrument. Regardless, some of the distortions were much worse than others, invariably resulting in me picking new points to solder and bend. It was definitely a frustrating hiccup to hit at a somewhat late point in the build process. Eventually, the controller started to take shape. After removing the guts, I attempted to reinstall switches and buttons from the original controller. After playing with different combinations of switches, buttons, and potentiometers, I decided to select two potentiometers (each connected to two switches) along with four main push buttons. I decided on push buttons for a couple of reasons. For one, somehow the push buttons feel more “gamic.” Generally, video game controllers do not feature on/off switches. Instead, video game controllers generally demand a certain sense of engagement; Mario would not really be Mario if one could simply turn on a jump button that would repeatedly have the character jump at the correct intervals. By having the glitches connected to push-buttons, then, the glitch-player is unable to be overly passive about her/his involvement in the game being played. That is, she/he cannot simply engage in a configuration act. 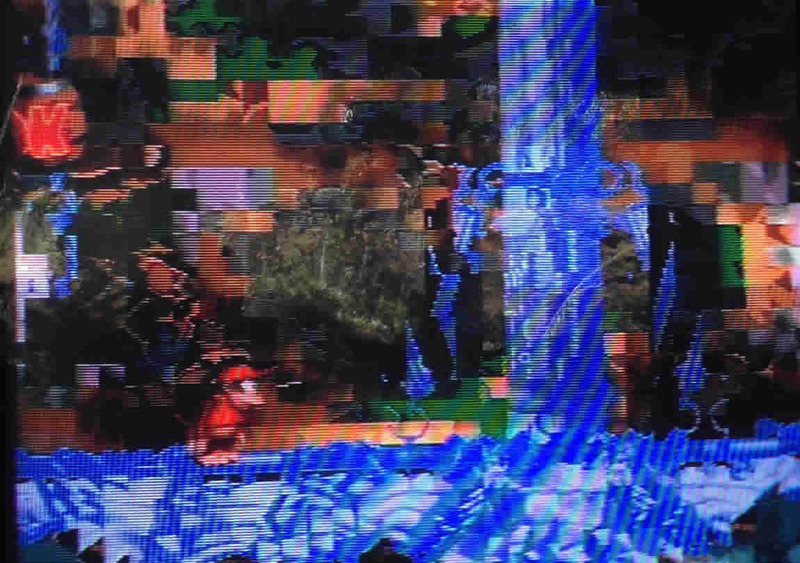 Instead, the glitches are meant to be expressive and continually experimented with. They are meant to be tweaked. Eventually, the controller was finished. Here are two very brief videos of the glitch controller in action. While I am relatively happy with the final product, I am interested in expanding the glitch work I have done here to include sound. It would be interesting, I think, to have a separate controller that would primarily bend and tweak sound and music within the game. I look forward to seeing where this project goes and will keep you posted about new research developments related to physical computing, gaming, media archaeology, and the like. Post by Jon Johnson, attached to the Makerspace category, with the physcomp tag. All images care of Jon Johnson.